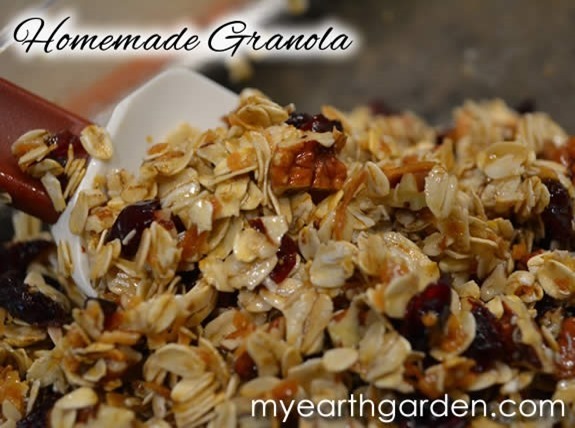 Granola is a favorite snack. It also makes a delicious topping for homemade yogurt. Still, the stuff you buy in the store is expensive and you can sometimes be left wondering what you’re eating (or feeding your family). 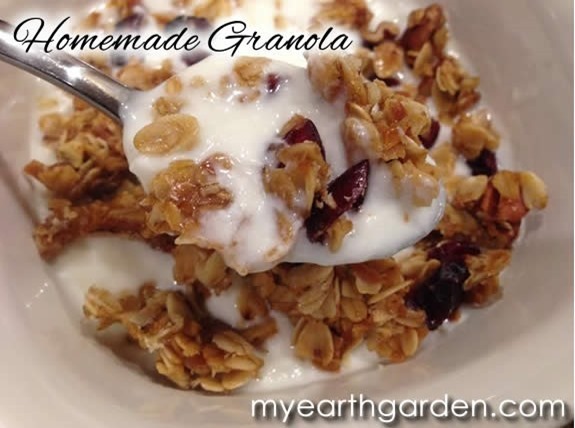 My homemade granola recipe contains only natural ingredients and is sweetened only with honey, so you can rest easy knowing exactly what goes into what you eat. Heat the oven to 375F degrees. 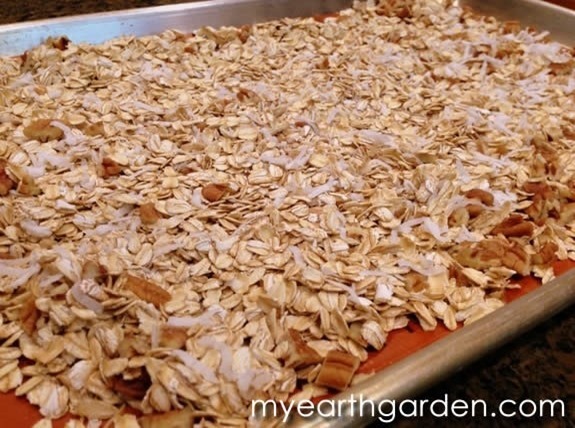 Then spread oats, nuts, and coconut on baking sheet lined with parchment paper, waxed paper, or a Silpat (my choice). Place baking sheet in the oven and bake for about 10 minutes and stir. Bake for another 10 minutes or until the oats and coconut begin to toast and become golden and fragrant. While the dry ingredients are in the oven, place butter, honey, and coconut oil in a small saucepan and cook over medium heat until the butter and oil are melted and thoroughly combined. Remove from heat. Transfer the dry ingredients to a mixing bowl and add nuts and dried fruit. Stir in the contents of the saucepan until combined. Spread the mixture evenly on the baking sheet and bake at 375F for 12 minutes. Remove from the oven and allow to cool completely. 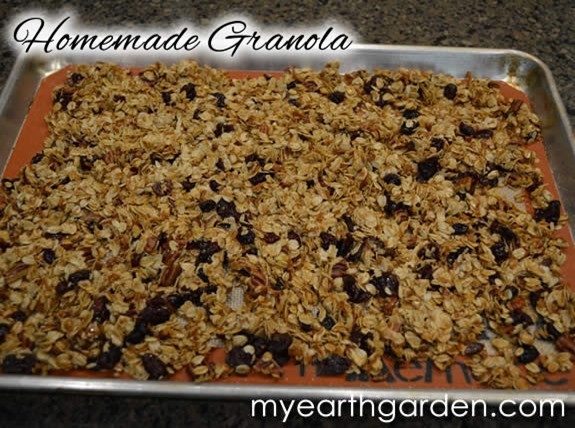 Break granola apart and store in an airtight container. Your homemade granola will keep for a month, but I doubt it lasts that long.